As a five-year-old child, my favourite 45 r.p.m. 7” singles were, in order, Tom Hark by Elias and his Zig-Zag Jive Flutes, Goldyloppers and the Three Bearloaders by much-cherished nursery-rhyme-mangler Stanley Unwin, and, last but definitely not least, a promotional 33 1/3 r.p.m flexidisc (you will remember these if you were born before, say, 1990) acquired by my aviation journalist father while working in Montreal, entitled How Quiet Is Our STOL? 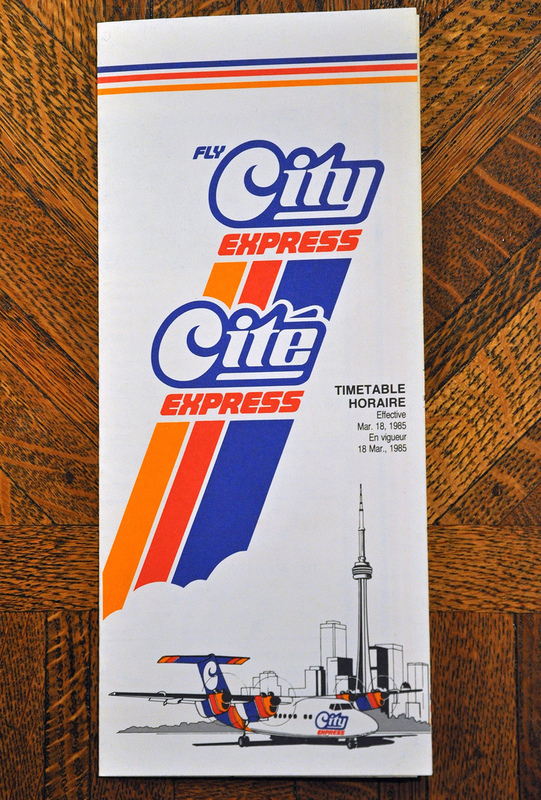 This obscure little gem was issued by de Havilland Canada to extol the virtues of the company’s prospective new feederliner, the DHC-7, or Dash 7, which made its maiden flight on March 27, 1975. I listened to this flexidisc hundreds, if not thousands of times during my childhood, the urbane Canadian narrator sounding to me like the epitome of transatlantic sophistication; his voice was the very essence of an impossibly glamorous world, in which advertising executives boarded tastefully appointed turboprops at downtown airports, behind which loomed a backdrop of shimmering skyscrapers, where 30 minutes previously the immaculately-suited executives had been standing at floor-to-ceiling picture windows on the 130th floor sipping Martinis as a prelude to escaping the city’s steel canyons, by means of a runway built into the harbour below. Pretty heady stuff, considering the flexidisc was essentially five minutes and one second of comparative recordings of different aircraft flying overhead, with the aforementioned narrator, whom I was sure was wearing a perfectly laundered tab-collar shirt with a slim wool-knit tie under a finely-tailored seersucker suit with thin lapels and five-inch side vents, explaining why the Dash 7 was the perfect aircraft with which to “establish a new metropolitan STOL transportation system” — which sounded immensely cool to me. I had no idea what a metropolitan STOL transportation system was, but I knew that I wanted one in Croydon, which, with its impressive towering skyline (ahem) would become the New York or Chicago of, um, South London, and which would need high-speed links between the “metropolitan” and “downtown” areas such a modernist conurbation would inevitably spawn. The liner notes of the flexidisc’s gatefold sleeve explain that the DHC-7 had been specially developed to “permit its unobtrusive operation into built-up areas — the maximum noise level produced will not exceed 95 PNdB [Perceived Noise Decibels] at a distance of 500ft from the aircraft”. It goes on: “This recording has been prepared to provide a truly subjective appreciation of what a 95 PNdB noise level means in comparison with both conventional transport aircraft and downtown noise as represented by an eight-lane freeway”. 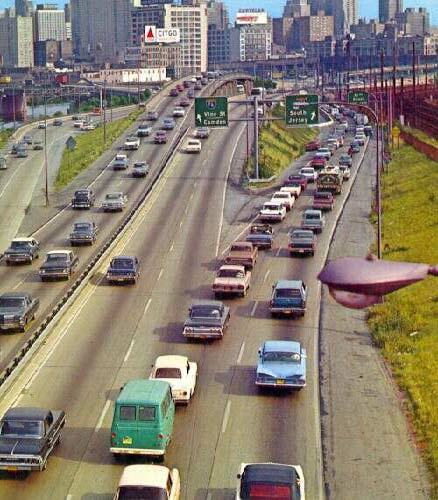 An EIGHT-LANE FREEWAY? What in the name of christmas daisies was that? Sounded like a much, much cooler version of our motorway, much grander, where cars with fins were driven by men in fedoras. I’m not sure quite why I had this 1950s notion about all of this, as the record probably dates from around 1974–75, when all that terrific Mad Men-era stuff had long since devolved into long hair and flares — but listening to it again now, I still see Ford Edsels and enormous station-wagons with wood panelling freemoving along a coastal highway like ants. Anyhow, after a brief intro from the narrator (who I imagined was probably the aircraft’s designer or at least the chief test pilot, which I now admit is unlikely), the listener is treated to the sound of a Boeing 727-100 passing overhead at a whopping peak noise level of 117 PNdB (hopeless! 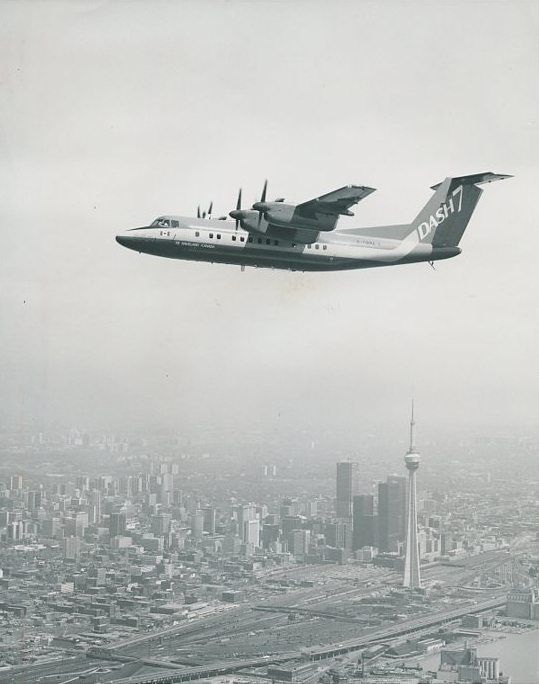 ), before the far more satisfactory General Electric T64 turboprop-powered DHC-5 Buffalo (109 PNdB) makes its pass. Following hot on its heels is another turbojet, a DC-9-10, which is between the big tri-jet and the sturdy Buffalo, at 114 PNdB. Next up is our hero, the Dash 7, which tiptoes by discreetly at a 95 PNdB whisper — hurrah for de Havilland! This was possible because the Dash 7’s engine configuration was specially designed to have a very low propeller tip speed, aided by low-noise paddle-type prop blades; buried air intakes and overwing exhausts for the type’s Pratt & Whitney Canada PT6A-50 turboprops also added to the Dash 7’s enviably low noise signature. 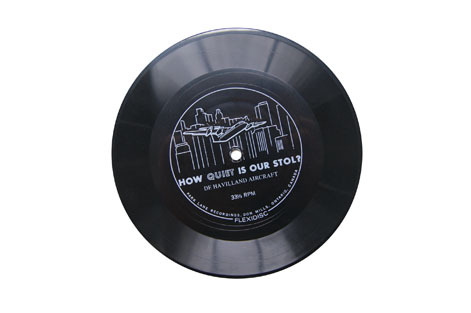 To show just how quiet the new feederliner was in an urban environment, the record then provides the sound of a busy eight-lane freeway — imagine my excitement! — at 90 PNdB, with a repeat of the Dash 7 following immediately afterwards. 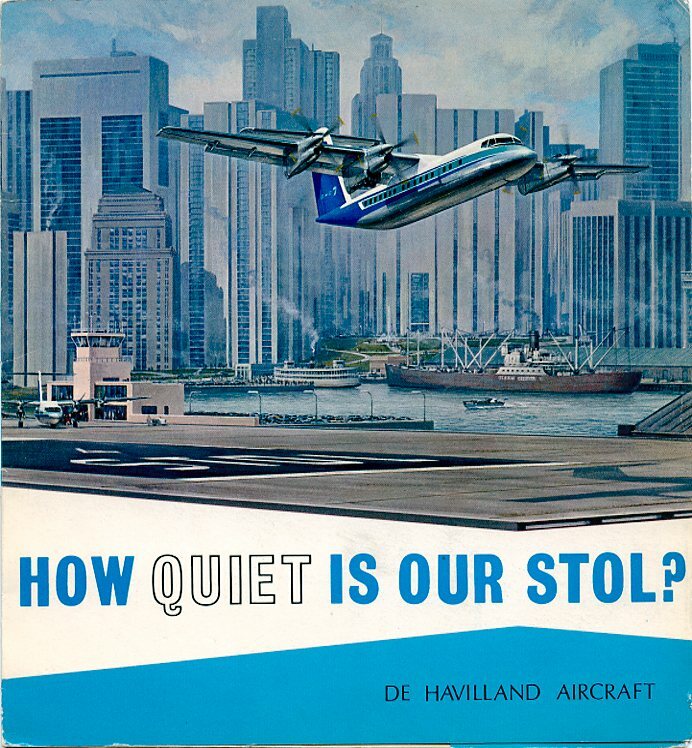 “This aircraft will provide attractive transportation for 48 passengers between conveniently located downtown STOLports,” explains the narrator, before assuring the listener that the new aircraft is built on firmly established de Havilland principles. STOLports — wow! Can we make one in the garden? As the hushed tones of the Dash 7 flying overhead disappear into the flexidisc’s run-off, my imagined 1950s-vintage Sim-City world wobbles and fades to black — shall we play it again?